The defining moment in Colin’s life was his decision to leave his safe, but completely ungratifying desk job to pursue a career doing what he loves…making booze. Over time that journey has taken him from his hometown of Long Beach, California to London, Houston, Edinburgh and finally to Napa Valley. He has an obsessive drive to create the best spirits in the world by continually pushing the boundaries of the industry and looking for ways to improve the distilling process. This constant pursuit of perfection and refinement is the philosophical bedrock that defines Loch & Union Distilling. Matt studied at the London School of Economics where he met Colin in 2008. After graduation, he worked in real estate in Chicago before moving to the Bay Area to pursue a career in the tech industry. 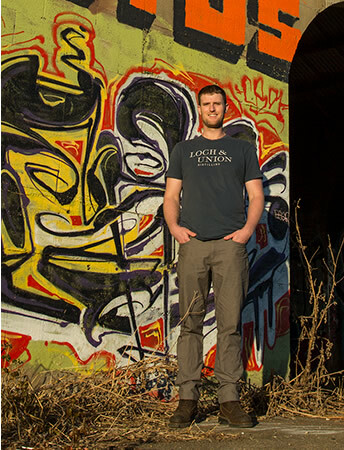 While in the East Bay, he was presented the opportunity to co-found Loch and Union Distilling as Director of Business Operations. 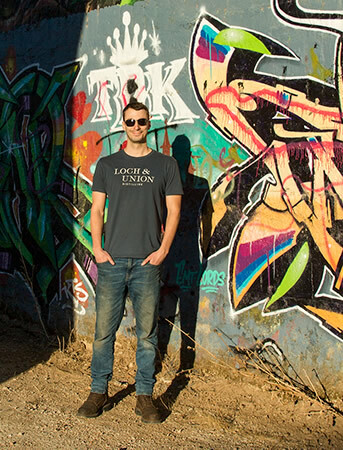 Coming from a professional brewing background, Jesse made the switch to distilling and joined the Loch & Union team after meeting Colin at the Brewing & Distilling Program at Heriot-Watt University in Scotland. After developing the pilot gin recipes, he now leads the distilling team in crafting the spirits on our full size stills. Gian is a former Marine turned winemaker turned distiller. During his time in the service he was part of the 1st Battalion 6th Marine Regiment that were the spearhead of the 2010 push into Marjah and saw some of the most intense combat of the entire Afghan War. He’s damn proud of his service (as he should be) and has turned his life experiences into an intense work ethic and dedication to his craft. 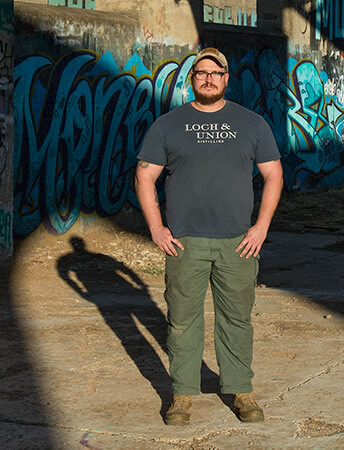 After his deployment Gian made wine in Paso Robles and Napa Valley before Colin asked his long-time friend to join Loch & Union. With a background in microbiology, Gordon made the switch to brewing/distilling from lab science upon realizing that removing blood from mice did not satisfy his long term lifestyle goals. So he packed up and went to Heriot-Watt University in Edinburgh, where he met Jesse and Colin. After school, Gordon stayed in Scotland for another 15 months as a Head Distiller for a Rum Distillery, before being recruited into the Loch and Union family. Jeff is a seasoned musician, guitarist, vocalist, recording and performing artist, guitar-teacher/repairman turned business analyst and accountant. 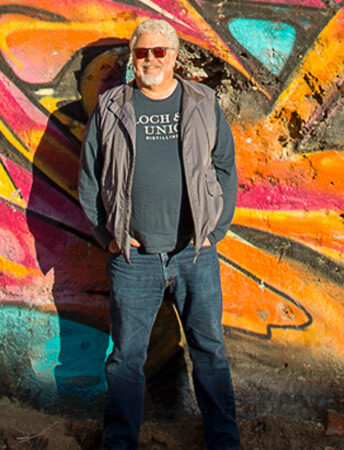 As an experienced businessman – from self-employed concerns to national corporations – Jeff began his business experience as the co-founder of a legendary musical establishment, serving the Napa Valley for over 2 decades. Soon after that chapter, his proclivity for business analysis allowed Jeff to become a vital component to other successful operations. These experiences give Jeff the tenacity and work ethic to bolster Loch & Union team successes, joining with them in the summer of 2017. 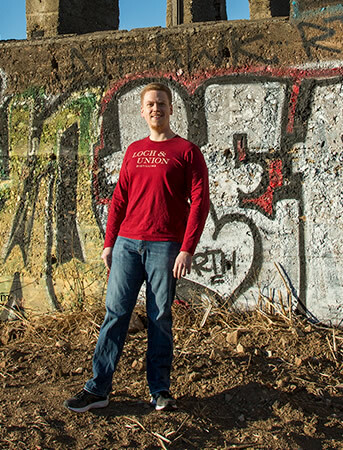 Zach entered the world of food and beverage in 2013 at the age of 22. He began his career as a busser at mar’sel, a fine dining restaurant located at Terranea Resort in Los Angeles. Within 5 years he had worked every position that front of the house food and beverage had to offer, working his way up the ranks to the title of Sommelier. Zach earned certifications through the Court of Master Sommeliers and the Society of Wine Educators. 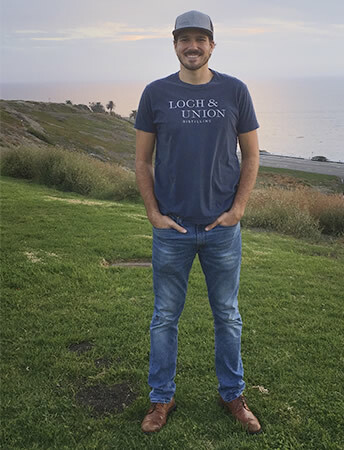 During his time at Terranea, Zach assisted in earning mar’sel the “Best of Award of Excellence” -Wine Spectator, as well as “Recommended Restaurant” -Forbes Travel Guide. 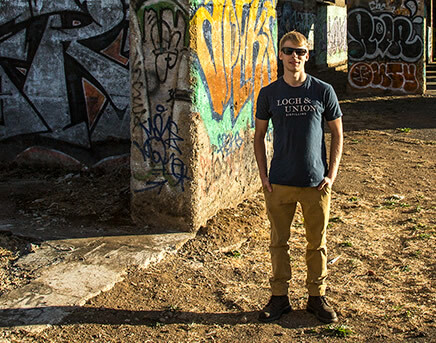 Interested in learning all aspects of the food and beverage industry, Zach decided to join Loch & Union in 2018 after speaking with his close friend Gian P. Nelson. 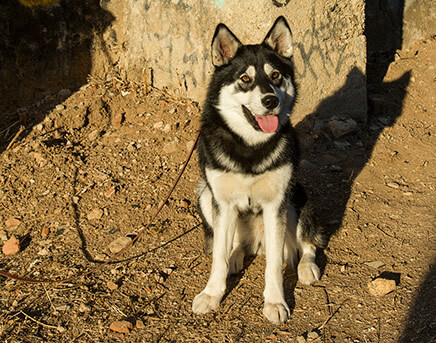 Meera came from humble beginnings at the Napa County Animal Shelter when she was adopted in July 2017. In just a few short months, she climbed the company ladder and now holds the position of concierge here at Loch & Union, where her responsibilities include greeting guests and keeping the office free of crumbs.